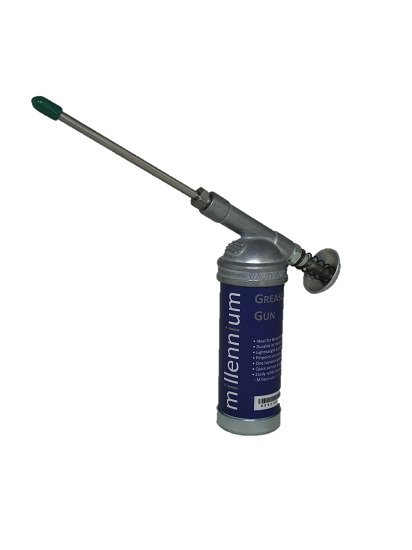 Often Imitated, Never Surpassed, the American Made Push Type Utility Grease Gun. Requiring only one hand to operate, they are ideal for working in confined areas. All models will handle multi-viscous grades of lubricant. Supplied with a 100mm stainless steel nozzle for pinpoint accuracy.